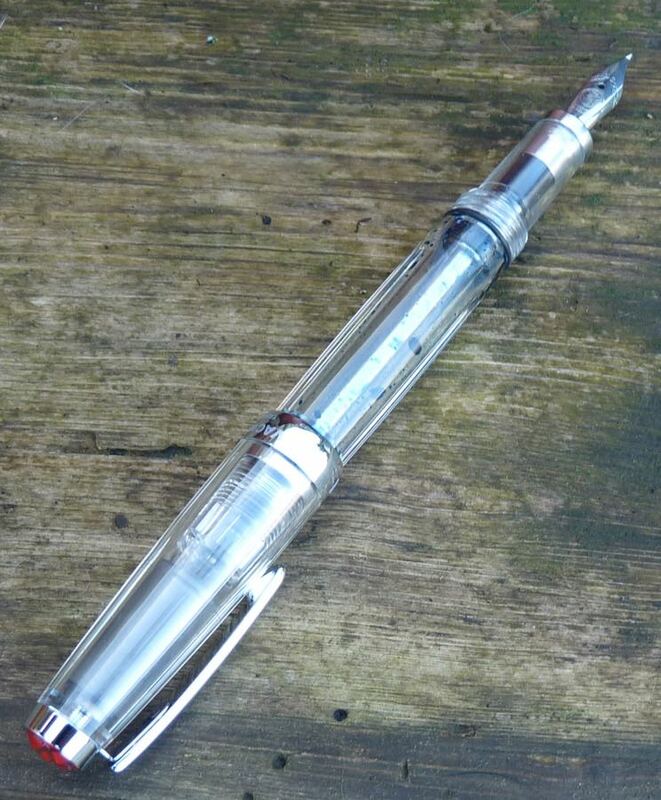 TWSBI Vac Mini Fountain Pen Review – Pens! Paper! Pencils! 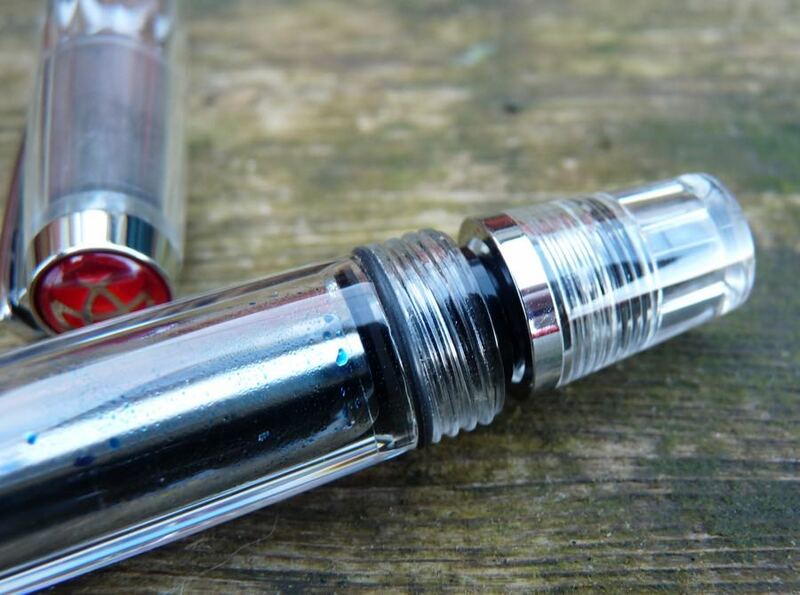 In the world of affordable fountain pens only one company, TWSBI, are truly making any efforts to innovate. The Micarta used a very interesting material (and I would love one! If you have one you’d like to sell me please get in touch), the Eco is great pen at a fantastic price and the Vac 700 brought vacuum filling to a whole new price point. 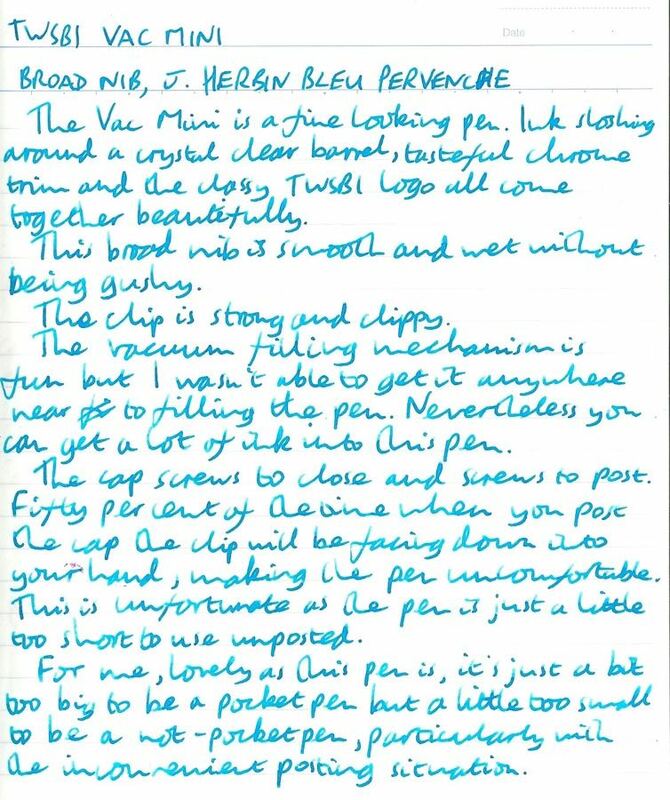 Their latest pen, the Vac Mini, brings vacuum filling to an even lower price point (just). It’s an interesting pen and of everything I’ve reviewed here, it’s been one of the most difficult pens to come to a conclusion about. Let’s talk about the filling system first. As with the Vac 700, you fill the pen by withdrawing the piston, dipping the nib into the ink and then pushing the piston back. Pushing the piston in creates a vacuum and when it reaches the end, the ink rushes in to fill it. It is a lot of fun but take care not to do this is a full bottle of ink (particularly not a little sample bottle) as it will splatter everywhere and you’ll have to do a lot of cleaning before you get found out. I chose a broad nib and it’s lovely. 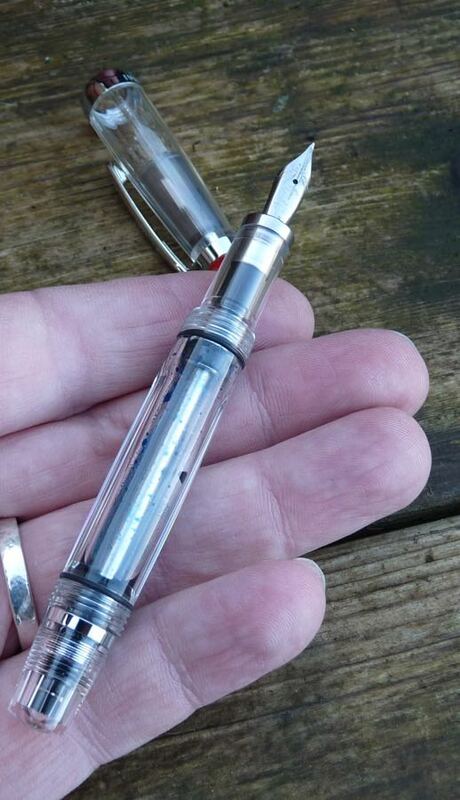 I’ve tried a lot of TWSBI nibs and the only one I’ve ever had a problem with was a slightly dry 1.1mm stub on a Diamond 580 (but the 1.1mm stub on my Diamond 540 is great). This particular nib is smooth and wet (without running away with itself). I like demonstrators and I like how the Vac Mini looks. 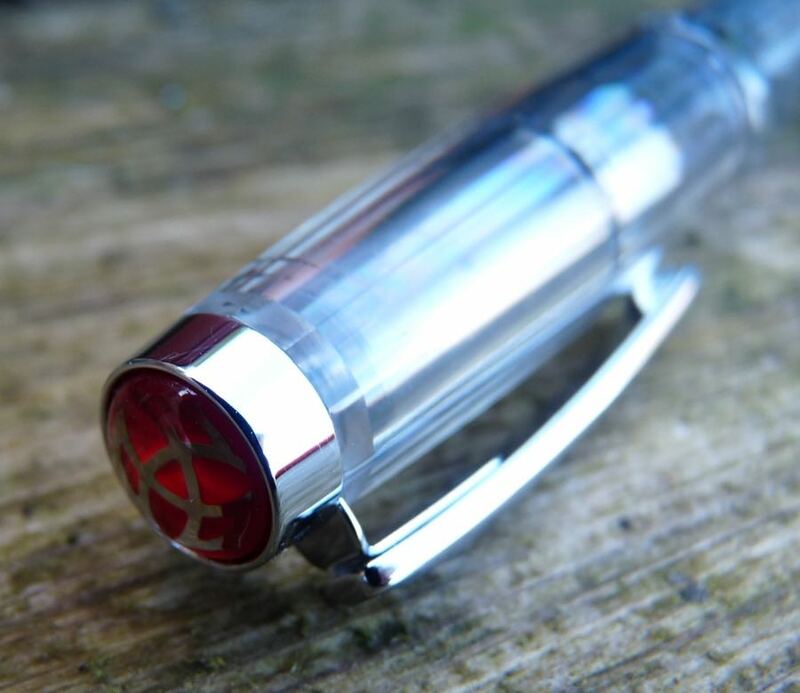 The clear plastic and chrome trim go well together and is nicely set off by the red TWSBI logo. It’s a handsome pen. So far so good but the difficulties for me start with the cap. The clip on the cap is a little too wobbly and doesn’t inspire confidence. The cap itself screws closed and this is fine. It screws on to post and this is not so fine. There are two start points to the threads so you have a fifty-fifty chance of the clip pointing down and pressing against your hand, which I found to be uncomfortable. You do soon learn how to start screwing the cap on to ensure it ends up the right way, though. However, the clip doesn’t line up with the nib at all and this is deeply irritating. The screwing-the-cap-on-to-post is a significant issue because of the size of the pen compared to the size of my hands. If you have smaller hands this might not be as important to you. For me, the pen is just a little too small to comfortable to write with without posting. But to post, I have to: unscrew the piston slightly; unscrew the cap; remember which way round to screw it on to post; screw it on; tell myself it doesn’t really matter than the clip and the nib don’t line up. 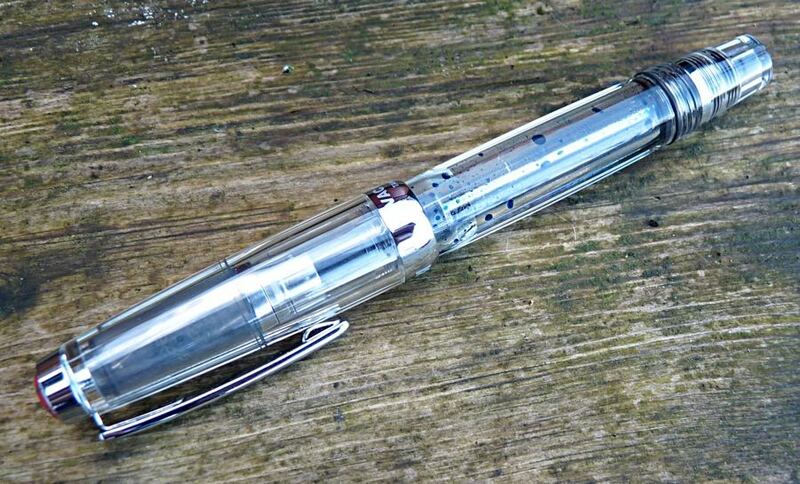 The fountain pen I carry around with me in my pocket, day to day, is the Kaweco Liliput. This must also be posted (by screwing on the cap) to be usable. However, there’s no clip so that’s not an issue and, much more importantly, it’s a tiny pen. I can put up with the inconvenience of it being too small to write lots with and messing about with screwing the cap onto the end because of the incredible convenience of it being so tiny to carry about in my pocket. The Vac Mini isn’t all that small, it isn’t all that convenient in your pocket, and so if you’re going to be putting it in a case anyway, why not make it a bit bigger so you don’t have to mess about with all this posting business (or just make it push-to-post)? I enjoy using this pen yet it frustrates me because of its size. If it was much smaller I could forgive this whole posting business or if it was a little bigger I wouldn’t need to worry about it. It may be just an issue for me with my big paws but can I recommend it? That’s so difficult to answer. 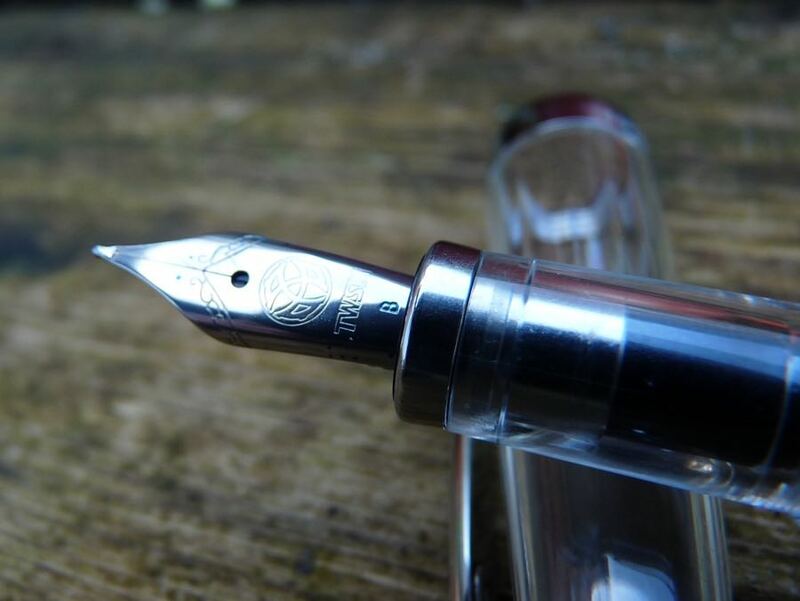 I think the Eco and Diamond 580 are better TWSBI pens, the Kaweco Liliput and various Sports are better pocket pens and Faber-Castell make several better pens of different designs in this price range. However, it’s not a bad pen. It’s a fun pen. It shouldn’t be your first fountain pen, or even your second, third or fourth, but if you want something that’s a little different then go for it. You can find some more reviews of the Vac Mini on Pennaquod.